The subtle brilliance that is the alley scene. This user review on IMDB says it best. I have read that James Stewart considered Elwood P. Dowd his most personally significant role. In a career that spanned decades and included such great works at It's a Wonderful Life and Mr. Smith Goes to Washington, choosing Harvey's friend, Elwood, as his personal favorite says something about rather powerful about Mr. Stewart and Mr. Dowd. Saw the movie on opening night, and I probably should have taken the effort to signal boost that I thought it was good given that due to the fucked up financial culture of Hollywood, movies live and die by their opening box office, but oh well. Guess what I found while exloring my new town today. The book adaptation of My Little Pony: The Movie written by GM Berrow. Of course, now comes the question. Should I or should I not read it? I'm pretty sure I can predict the story pretty closely so I don't expect many spoilers, but then I fear it would take away from the moment when I do watch it. I'm gonna put it to you guys. Read it or not? Movie starts- "isn't this We Got the Beat by the Go-Go's" Oh wait it is but not and changed words like okay. That's fine. I just got done watching The My Little Pony Movie and I was so excited I just had to write this. Okay, so this first bit will be spoiler free, and I’ll leave the spoilery bits below the break. I LIKED IT. GO SEE IT. I think that sums up the theme of this review. This isn't going to be a review, just a simple note to anyone on the fence about seeing this movie! Anyway, ever since I heard about the first Equestria Girls movie, I felt like this franchise was going downhill. Many bronies have phased out since then, with more to come in the next few years. It hasn't been all bad and there's obviously still a lot of us. To the point where we even make other fandoms cringe now. OH MY GOSH~! OH MY GOSH~! OH MY GOSH~! 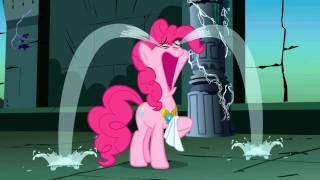 I went to see My Little Pony The Movie in theaters twice when it came out and then I thought that was it....until I found out about a super cheap theater in my area that's still playing it! SO I've now seen it two more times with pocket change!!! Happy Hearth's Warming Eve indeed! Me: *Watches "The Color Purple"
Oh my gosh, it's finally officially here! 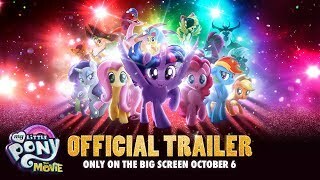 Trailer for the upcoming My Little Pony movie~! From horror site "Bloody Disgusting"
Special effects master John Carl Buechler has lost his battle with cancer, according to various sources on social media. He was 66. Yes. Is there an echo in here? I wish I could say to one of the cons (which I am also seriously considering), but no. I'm going to the movie. In the theater. Like a normal person. We all know that movies are all the same these days. They always have a happy ending. Especially highschool-dramas. But I just watched The DUFF and I'm surprised by how good it actually was. Enjoy this funny raptored-mane-six, that I found on the amazing google! Have a nice day/evening/morning guys! So, just watched John Wick 2, and the Lego Batman Movie. The Lego Batman Movie is what would be called "a crackfic". And John Wick, my parting comment was, "If you want to catch any professional, you gotta send someone who is better than them." Unfortunately, there is no one better than John Wick.